A youth listening to her discman suddenly becomes very agitated and commits suicide. The same reaction is seen on another teenager who jumps out of his house window after listening to the same CD. Aya and Omi deliver flowers to a theatre where there will be a performance and they run into Sakura who is working part-time there. Sakura tries to talk to Aya but does not get the chance. Meantime, Crawford has a talk with the musician (Kawaji) who was responsible for composing the mind-controlling music and praises him on the effects of his composition. Kawaji is on his way to compose another piece that will affect everyone who hears it. In a fast food restaurant, Omi complains to Youji about how indifferent Aya was when he saw Sakura. Youji tells him to mind his own business. 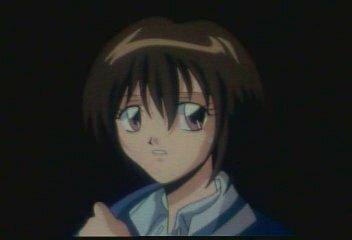 Just then, a high-school girl who had been sitting with her friends not far away from Omi and Youji's seat suddenly goes hysterical and runs out of the restaurant, resulting in being knocked down by the car. She had been listening to the discman with the same CD. Quite shaken by the incident, Youji returns to the flower shop and relates what he and Omi had seen, remarking that young girls are so difficult to understand. Ken jeers at him. Sakura comes in and tries to talk to Aya. Urged on by the other florists, he brings her to a quiet café. Sakura reveals her feelings for Aya but Aya replies that he is not fit to accept her love, for he is a man who does not deserve to be loved. Sakura is badly crushed by his words. Omi finds her and tries to cheer her up. Sakura believes what Aya said was only an excuse to shake her off. Weiß comes across another piece of news where another youth has gone berserk and committed suicide, again similar to the recent spate of incidents happening. They start to feel suspicious and check up on the incidents. Indeed, they find a common link in all of them - that the youths have been listening to their disc-mans before they go berserk. 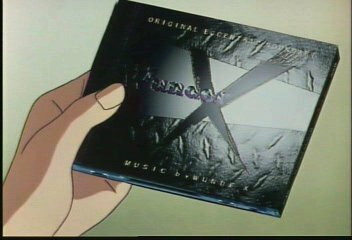 Youji recalls the incident in the fast food restaurant and remembers seeing a CD labelled with a black 'X' inside her disc-man. Weiß decides to get their hands on that CD and do some checking on it. As Omi plays the CD, Youji and Ken begin to show violent reactions but it does not hold so for Omi and Aya. Omi stops the CD immediately and after some checking, he confirms that the music has the ability to control the listener's mind and throw the listener into a state of hystery. Kawaji has completed the 2nd piece of music and intends to perform it on stage (the same theatre earlier) so that everyone who hears it will become berserk. In the meantime, Weiß, in the midst of checking up the origin of the CD, receives a mission from Birman, which is to kill Kawaji, the composer of the song. Weiß reaches the theatre which Kawaji will be performing his piece in, only to be intercepted by Schreient. Weiß flees with Schreient hot on their heels. They decide to split up to find Kawaji as they are running out of time. Meantime, the time has come for Kawaji to perform and he is determined to make everyone suffer after hearing his music. Aya finds him and does not waste time in killing him. In his dying breath, he asks why the music had no effect on Aya. Aya reveals the earplugs he is wearing. Aya looks up and is shocked to see Sakura looking at him. He walks right past her, saying, " So do you understand by now? I do not have the fortune to be loved by you – I am a man who does not deserve to be loved."